Travel blogs have become popular in recent years because of a boom in travel lovers—both millennials and retirees alike. More people are making their money through documenting their own travels; ergo, travel blogs. If you have a passion for travel and high hopes of working from anywhere in the world, here are a few tips to growing your travel blog audience via social media networks. Social media provides an excellent marketing platform because anyone can reach hundreds of thousands of people with a single status update. For your travel blog to be a success, you need pictures of where you went and what you did. Use these pictures to entice readers to visit your travel blogs, with a backlink that allows users to click on the picture to get to your blog entries. Travel bloggers are keen in their writing skills and passionate about where they go, but the real treats are within their photographs. Weave a visual story with your words, then give audiences a glimpse of beauty and wonder with your best travel pictures. Convey your experiences through a combination of personal photographs and travel tales, because audiences want to know what happened, what you did, and where. Tip: Use digital transcription equipment to document what you want to say on your travels. This makes it easier to write about your experience. 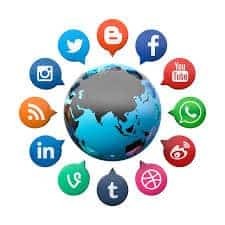 Social media networks allow you to connect with current and future blog audiences, which means you have a constant flow of open communication. Keep your audience engaged and intrigued with statuses that ask questions, such as, “what top three destinations are on your bucket lists?” Give your audiences something to think about and answer. Respond to Your Audience Quickly! To keep your audience, you need to be caring of what they have to say. Interact with them about their hopes, dreams, and travel comments. Make friends and keep an open line of narration going to bring those new friends into your life via a stellar travel blog.